This picture is one of my favourite views. 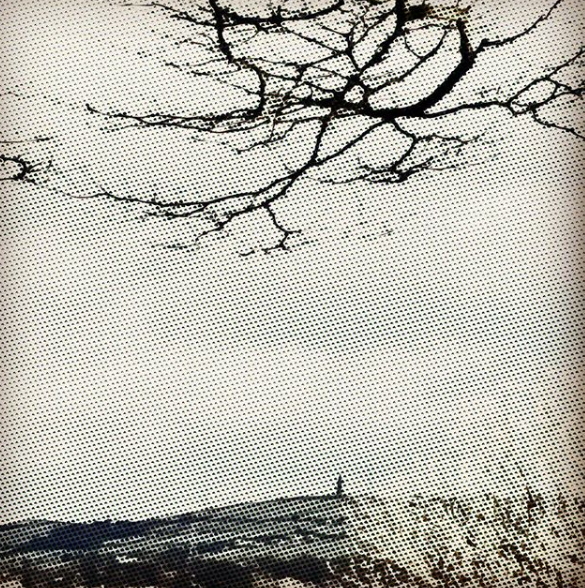 It’s of Hartshead Pike, a landmark that my mother always lived in sight of. I took this picture on Christmas Day 2017. The sky was blue and it was a crisp, sunny day. When I posted it here I applied a filter and it is now barely recognisable as that bright Christmas Day. It is skewed and there is no trace of me in this picture, or what I did that day. Yet it retains its shape. Like my main characters – human shaped with emotions, very different from me but filtered through my experiences.